Latgale Graphic Art Symposium is like meeting, discussion and creative work in the space of culture in Latgale, which brought together similarly and differently thinking and working graphic artists and artists of other media from Latvia and foreign countries, whose expression of art is graphics. 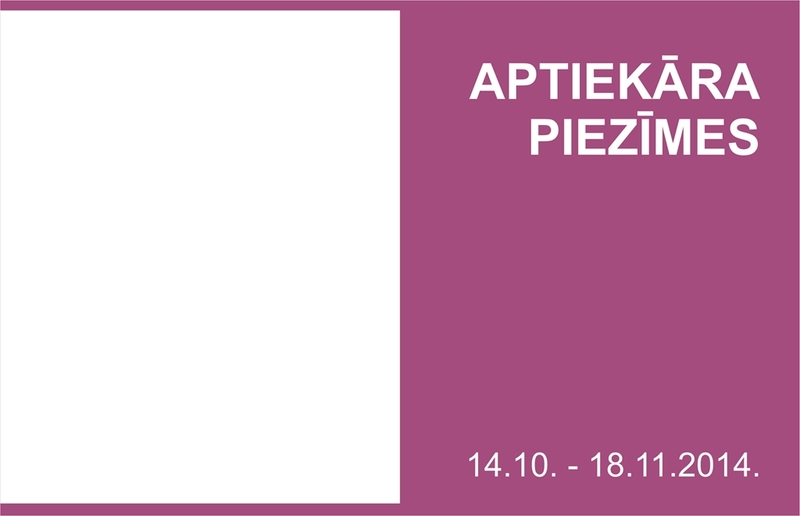 Apothecary notes is a common theme for the final exhibition by the end of III Latgale Graphic Art Symposium. As Jacob Rothkowitz, father to Mark Rothko – an outstanding founder of abstract expressionism, was apothecary in Dvinsk, so it is natural that the theme of pharmacy and apothecary is perused in graphic art Residence of this year, developing direct connection between inheritance of traditions and sustainability. Residents of 2014 from five countries – Italy, Latvia, Lithuania, Poland and Serbia – had an opportunity to fill and to sense surroundings and events, dynamics and variability in the frame of centuries in Daugavpils by turning to interpretation of life, feelings, mood and meaning of apothecary in the form of “notes”.